I have involuntarily taken some time off from blogging, but I hope I can get back into the swing. There has been a lot going on here, and several things worthy of posting about, as I know lots of us are dealing with the same stuff. A couple months ago, I moved very quickly from where I was living to a parking lot of a bar/restaurant. Me, my horses, dogs and stuff, in about 7 hours. While I had been feeling more and more uncomfortable at this place, with broken fences and gates made of barbed wire, and no fencing on one side at all…. I was still hoping I could get through it. Everything came to a head one morning and I realized I was not safe. Not only that, but the security of my horses was very much a question. And I made a decision. We were leaving… today… ASAP. Couple calls to friends and family and I had help loading stuff. A call to a kind neighbor and he arrived with a horse trailer. As most natural horsemen can attest to, we are a little particular about who we let drive our horses. But I had a good feeling about this guy, and it wasn’t a long distance, and I was right in front of them… and I didn’t have much of a choice. He had asked if the horses were tame (lots of horses out here are not… actually… lots of horses all over are not), and I said yes… I would be happy to load them myself. I had all of them standing there with their rope halters and leads, and decided who was going to be first etc. they all just stood there waiting for their turn, and the neighbor smiled and shook his head. His job was to actually not let the others follow me on. I did tell him he could let one go, as she was next in line anyway, and she loaded herself without issue. My kids at the new place. They traveled without incident and unloaded easily and entered their new paddock. I was so thankful they had such good manners and such good attitudes that I was able to load and unload all 5 by myself and not need help. They were all mentally, emotionally and physically fit. I, on the other hand… was not. I was nearly in tears all day from the stress of trying to move without looking like I was moving (it wasn’t until the horses were leaving that the gig was up). I was trying to keep my dogs safe, move stuff to storage, make arrangements for a camper to live in, get the horses ready and moved… by 11:00 PM, I was so exhausted physically and emotionally, I didn’t have the energy to cry- just fall into bed. 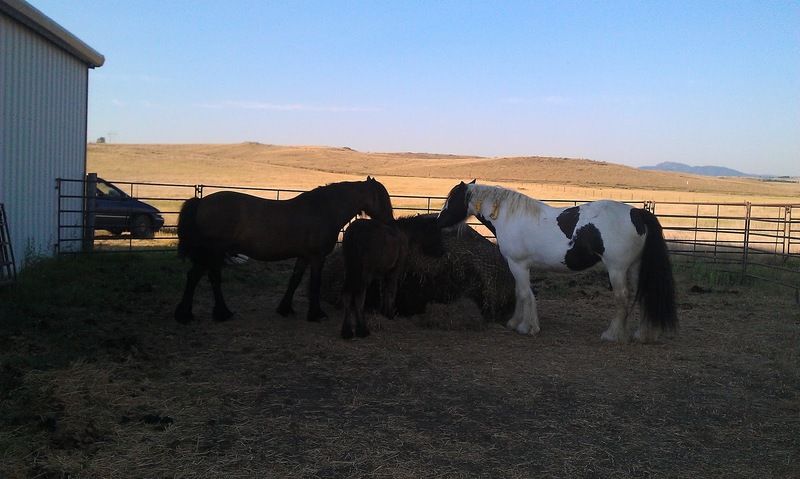 Another stressor for me was that my horses were no longer with me. They were about a mile away. This was very difficult to deal with it. There were, of course, times when I was not able to have my horses right with me, but usually I was still able to have them with people I trusted. Fortunately, this time, they were at a place that use to have horses but didn’t any longer and all of their care would be given by me. Nobody would be out there. The dogs and I were to stay in a 12 foot camper on the parking lot of a bar/restaurant until I could find another place for all of us. I’ll leave you with that for now. There is much more to be discussed about mental, emotional and physical fitness and the choices we make.